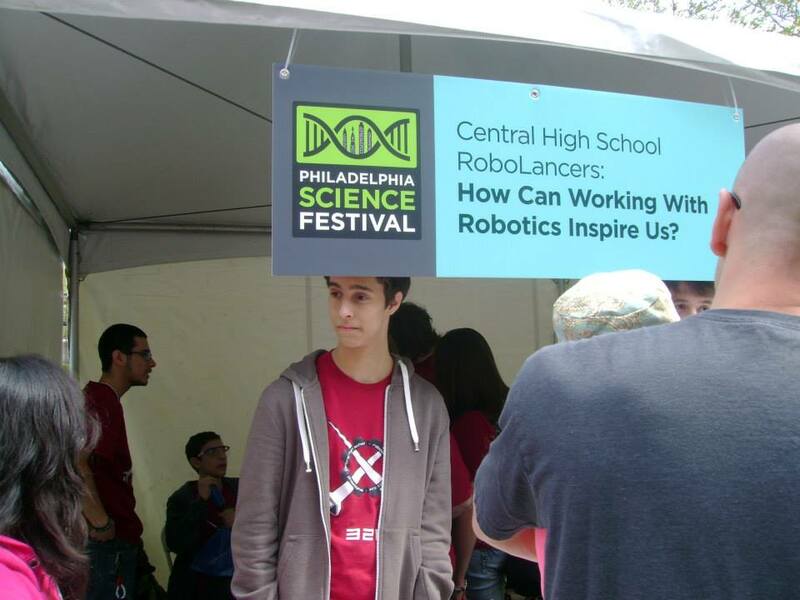 Posted on May 4, 2014 by Thomas D.
Yesterday the RoboLancers went to the Philly Science Festival to show off our FRC and FTC Robots and talk about STEM Education and FIRST Robotics. Our booth was placed across the Franklin Institute. We had to set up our booth from 7:45 A.M to 10:00 A.M. Right before the event officially started when there was no crowd we did practice drives with our robot on the closed off street. As soon as the festival started a crowd formed around our booth as we demonstrated our robot. I was busy in the booth talking about the team, STEM, and FIRST. We decided to start an emailing list for people who were interested in starting a team or getting their children involved. I really hope we can get some new FIRST teams started in the city. When I wasn’t at our booth I was busy looking at all the different booths. While walking around I found the Friere’s RoboDragons and SLA’s FRC team. My favorite booth was probably the booth where you could make homemade ice cream. 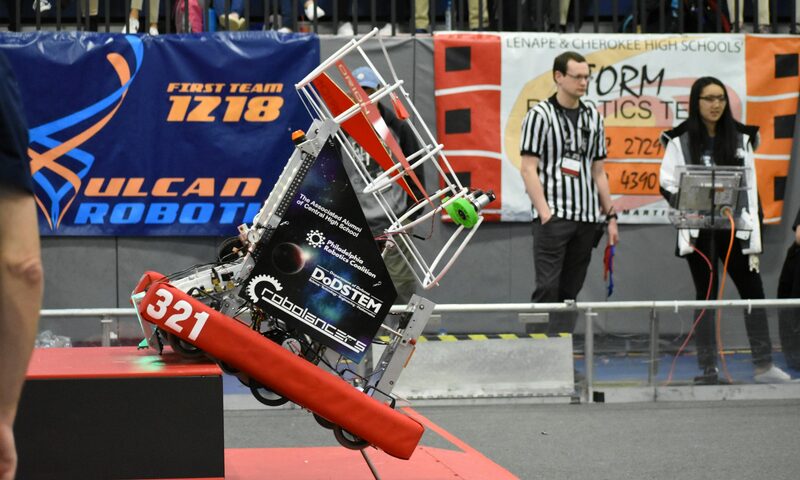 I hope that we can participate in the festival next so that we can help spark an interest about FIRST Robotics for some of the people who visited our booth.